During last decades millions of women used birth control pills for family planning and prevention of unwanted pregnancies. This method of contraception is very popular because of high reliability and effectiveness (up to 99%), easy use and limited side effects. Birth control pills can also regulate menstrual disturbances, treat acne and uterine bleeding and be used for infertility treatment. As birth control pills (different types) were already used during decades, scientists have enough material for testing long-term effects of birth control pills. 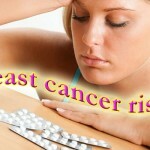 Birth control pills for ovarian and endometrial cancer are a subject of special attention of scientists. Do birth control pills increase or reduce risks for ovarian and endometrial cancer development? Birth control pills for ovarian and endometrial cancer – How do Birth control pills affect ovarian and endometrial cancer risk? Studies have consistently shown that using pills reduces the risk of ovarian cancer. In a 1992 analysis of 20 studies of pills use and ovarian cancer, researchers from Harvard Medical School found that the risk of ovarian cancer decreased with increasing duration of pills use. Results showed a 10 to 12 percent decrease in risk after 1 year of use, and approximately a 50 percent decrease after 5 years of use. Researchers have studied how the amount or type of hormones in pills affects ovarian cancer risk reduction. One of the studies used in the Harvard analysis, the Cancer and Steroid Hormone Study (CASH), found that the reduction in ovarian cancer risk was the same regardless of the type or amount of estrogen or progestin in the pill. A more recent analysis of data from the CASH study, however, indicated that pills formulations with high levels of progestin reduced ovarian cancer risk more than preparations with low progestin levels. In another recent study, the Steroid Hormones and Reproductions (SHARE) study, researchers investigated new, lower-dose progestins that have varying androgenic properties (testosterone-like effects). They found no difference in ovarian cancer risk between androgenic and nonandrogenic pills. 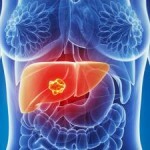 The use of pills has been shown to significantly reduce the risk of endometrial cancer. This protective effect increases with the length of time pills are used, and continues for many years after a woman stops using pills.